Too much to carry? 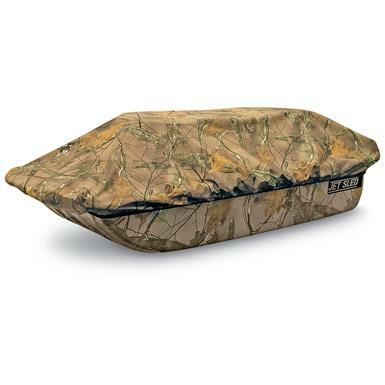 Give yourself a break and haul it all in this rugged Shappell Camo Jet Sled 1 with Sled Travel Cover. Transport downed game, decoys, feed, ice fishing gear... you name it. Includes Travel Cover that fits like a glove over the base of your sled to keep out rain, slush, and snow. Sled Dimensions: 54" x 25" x 10"h.
Cover Dimensions: 54"l. x 25"w.